Ald. Cicely Fleming (9th) speaks at a council meeting. Fleming voted to approve a program that expands Divvy use to low-income residents. The Transportation and Parking Committee voted Wednesday to start a program that expands Divvy bike use to low-income residents. The program — Divvy for Everyone — allows income-eligible residents who are 16 years old or older to buy a one-time Divvy annual membership for $5, according to city documents. Usually, annual Divvy memberships cost $99, single rides cost $3 for a 30-minute trip and one-day passes cost $15. Jessica Hyink, the city’s transportation and mobility coordinator, said she plans to roll the new program out in June. She said it will draw in people who would not have participated otherwise. Hyink said city staff will use the same eligibility guidelines that the Parks, Recreation and Community Service Department uses for its fee assistance programs. She added that there is no direct cost to the city for the program, and the fees will go back into the cost of operation for Divvy. According to city documents, eligible residents can sign up for the program in person at the Lorraine H. Morton Civic Center and at Parks, Recreation and Community Service facilities. Hyink said there is no technology required for residents to enroll, and unemployed residents can sign an affidavit letter to prove their eligibility. 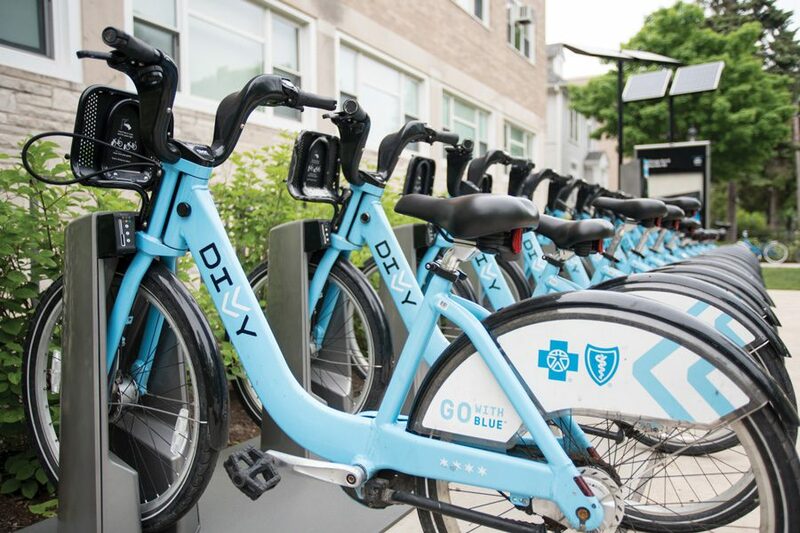 The Divvy program may also receive more advertising revenue in 2019, Hyink said: Chicago has a contract with Blue Cross Blue Shield to advertise on all bikes, including the ones in Evanston, and Chicago has offered to include Evanston on the contract starting next year. Hyink said the city could look into acquiring more docking stations for the bikes, so the program could expand more into west Evanston. She said there are about three wards in the city that do not have docking stations either within the ward or on the border. She added that the city could buy three stations from Oak Park at a reduced rate. And, because the Divvy program is currently under its $304,000 budget, Hyink said the city could use the rest of the allocated funds to pay for the docking stations. Ald. Cicely Fleming (9th), who serves on the committee, said the city cannot purchase the stations at the moment with budget cuts looming, especially because the Divvy program is also up for cuts on the priority-based budget survey. She added that she does not know when the city will be ready to purchase the stations. However, Fleming said she approved the $5 program because there is no cost to the city and because it would add “a few” more riders.